After the explosive conclusion of his renowned Batman trilogy earlier this year, Christopher Nolan is no stranger to any fan of the film industry; and despite his other strong efforts both independent and alongside Hollywood, he will forever hold a strong bond to the caped crusader and the benchmark achievement of reintroducing him to contemporary cinema with style. It's Halloween today, so without further ado, we shall take a trip to the past and explore the dark, fearful and sometimes frightening first installment to a stunning trilogy: Batman Begins. After the sudden murder of his beloved parents whom he fails to avenge, Bruce Wayne (Christian Bale) travels the world to understand the mind of the criminal and manipulate the essence of fear to utilize in combat. 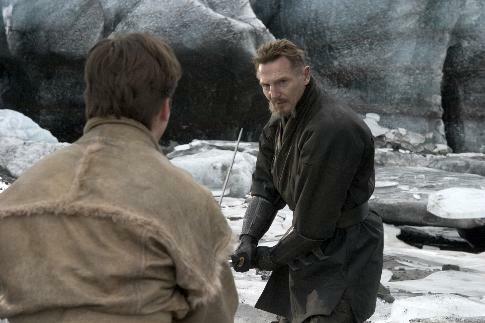 His efforts are picked up by Henri Ducard (Liam Neeson), a member of a vigilante society known as the League of Shadows, who tutors Bruce to 'become more than just a man in the eyes of the opponent'. The society's draconian ideals become too much for Bruce to stand alongside; returning to his home of Gotham City alone, he is joined by his faithful butler Alfred Pennyworth (Michael Caine) and Applied Sciences colleague Lucius Fox (Morgan Freeman) to become Batman, his caped alter ego dedicated to eradicating crime in a decadent city, though he soon realizes what he tries to stop is linked to those who taught him in the first place. Batman Begins reeks of dark undertones; the film is constructed in a realistic fashion to portray the titular hero as a real human being with internal struggles and physical competition, not an unstoppable icon with the bulk of a superhuman. This portrayal makes for an interesting narrative that unveils in a way that pits Bruce Wayne, not his caped alter ego, in the center of the frame. The hero's journey explores Wayne's sense of loss and his consequent actions because of it brilliantly, capturing the emotional integrity of key scenes which is all backed by some very strong acting, particularly from Liam Neeson. Though a realistic tone is maintained across the plot, don't feel any suspension of disblief has been abandoned; Batman retains an arsenal of badass gadgets and a brilliantly redesigned Batmobile (dubbed the Tumbler) as well as an expertly designed suit which gives him the intimidating yet iconic appearance on screen. Visually, Batman Begins looks very tangible; there is a limited use of CGI in favour of stunts, models and detailed set design. Everything is modelled with a great level of attention in mind, making even the smallest aspects of a set very appealing and showing just how much care went into the filmmaking process. The suit of our iconic superhero is also designed with realism and appearance in mind; it's crafted together by the characters themselves, who even explain the materials used and piece it together as the story progresses, but still captures the fearful essence the original costume adopted so well and never looks silly or embarrassing. Batman Begins only suffers in the visual side of things in one major aspect, which is the camerawork in certain action scenes. Namely prominent in the climactic fight scene, the camerawork can be clumsily positioned and made worse by overly rapid editing which reduces the aforementioned battle scene to a mishmash of grunts, punches and nonsensical martial arts attacks. Some of the film's combat scenes also feel very synthetic, with no real ferocity or speed. 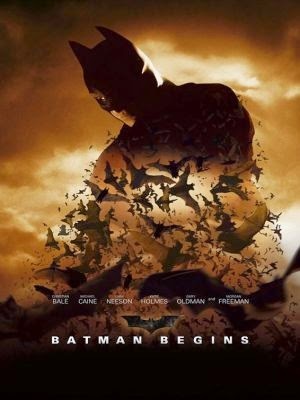 Batman Begins is backed by a plethora of strong performances, a fantastic soundtrack by the amazing Hans Zimmer and a story that is well focused, fluently told and explorative of entertaining themes and ideas. Seven years down the line and with the trilogy finally over, Batman Begins is still a remarkable effort from Nolan and his team and a great way to spearhead an acclaimed film franchise. Batman became a laughing stock of campy costumes and idiotic villains after his second cinematic release in 1989: Batman Begins not only ended this nonsense, it saved the character and reintegrated him to modern audiences brilliantly.